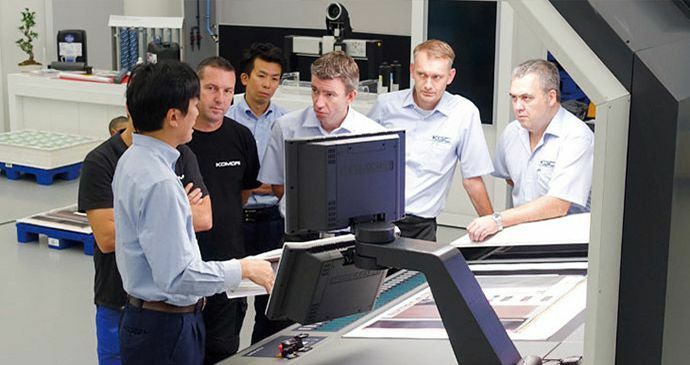 The Komori Graphic Technology Center was established as a core institution of the Komori Group to build new printing technologies and printing systems, reinforce personnel education and skills training, provide solutions to customers and contribute to the communication of information on printing. 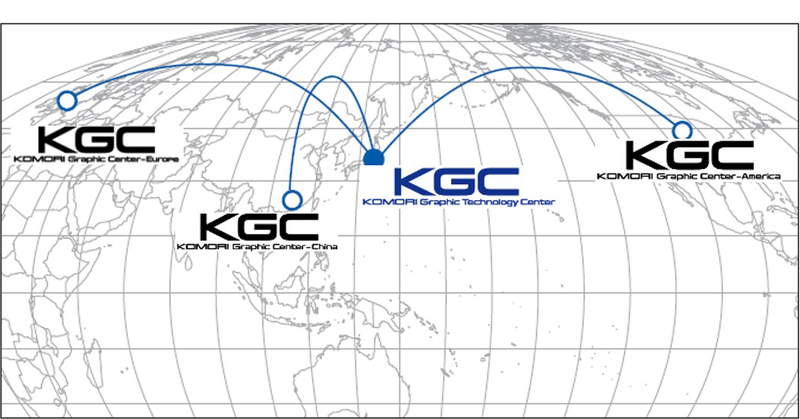 KGC helps the growth of the printing industry and the improvement of the level of technology by globally transmitting a variety of added value information and knowledge required by customers and the printing industry worldwide. 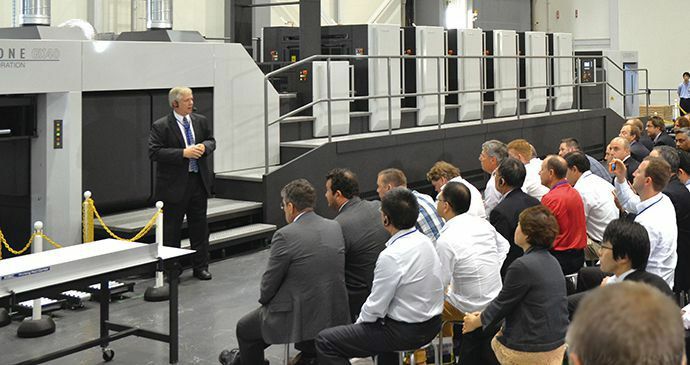 The center presents a wide range of demonstrations of the latest, most advanced presses and printing systems. Customers can confirm for themselves the functions and performance of presses at the highest level as well as their productivity, ease of use and safety. The Printing College contributes to improving customers’ technical skills through participatory practical training using the latest, most advanced facilities, from photography to prepress and printing. It develops and provides a diverse study and training curriculum aimed at improving offset printing quality and productivity. 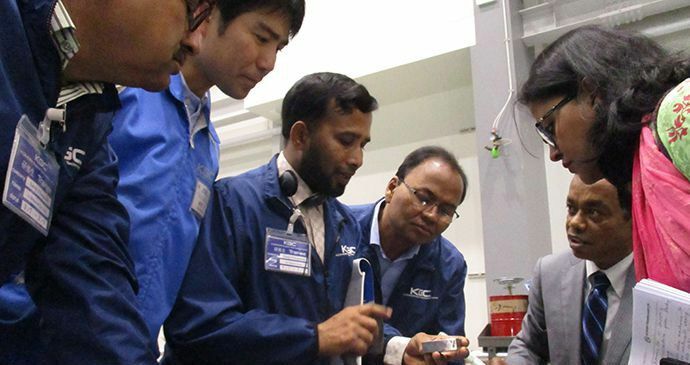 The Printing R&D Center conducts basic research in printing technology and development of new technology, especially printing software technology, as well as new systems and products. Through these activities, the Center contributes to the growth of the printing industry and the creation of value. 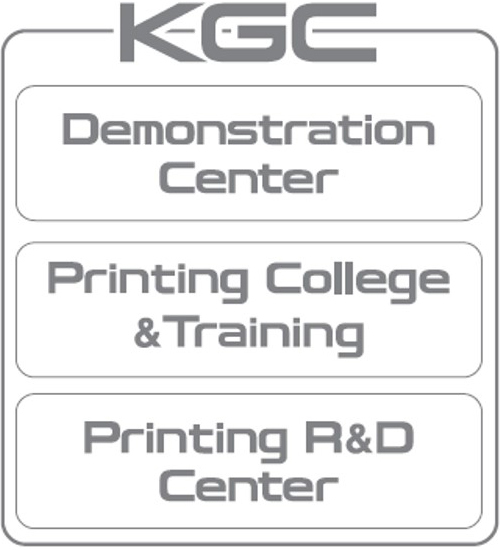 In cooperation with other KGC departments, it recommends optimum printing systems by taking advantage of digital printing systems and CMS/K-Supply products, i.e., printing materials and peripheral equipment. The Center collaborates with industry and academia as well as makers of printing materials and peripheral equipment to realize these objectives.